I liked what I saw, but at $26 each, I thought I could make it for less. This weekend I finally had time to run to Michaels and pick up wooden plaques, stain, varnish, paint, stencils and hooks from Home Depot. The result is below. And no, I did not get them made for less than $26 each. I do, however, now have the supplies to make these as Christmas gifts. 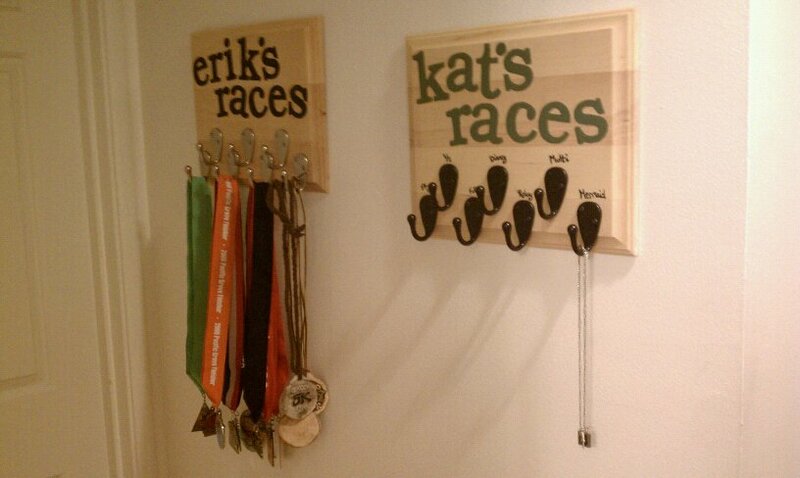 So watch out family runners-you just might be getting a medal holder this winter! Apparently I have a long way to go in catching up with Erik….